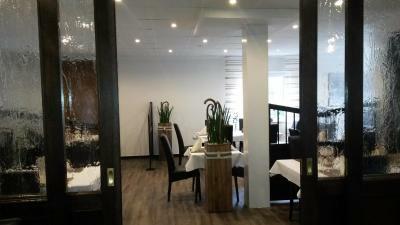 Lock in a great price for Hotel Restaurant Zum Wacholderhain – rated 9 by recent guests! Wonderful accommodation and ideal location for us as near family. Breakfast was lovely and good value for money. Super location, lovely large room, very friendly owners - they made us feel very welcome. After a long journey on the motorbike it was lovely to enjoy a cold beer on the terrace! Also the meal we had later in the evening (main course and dessert) was outstanding - all fresh produce, homemade and freshly prepared. Very comfortable bed and a very comprehensive breakfast - thank you. Within walking distance of the town centre around a lake in a pleasant country park. The hotel was quiet and clean. Breakfast was good. Vriendelijk personeel en gastvrouw. Eten is héérlijk. Alles vers en uitgebreid voor een goede prijs. Ontbijt netjes verzorgd. Schönes kleines Hotel mit geschmackvoller moderner Einrichtung. Viel Natur in der Umgebung. Das Hotel hat eine gute Lage. 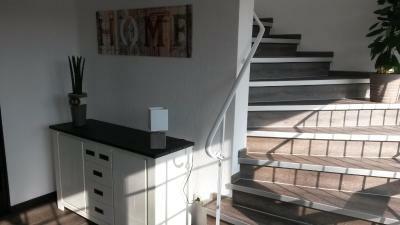 Das Zimmer ist modern eingerichtet und in einem sehr guten Zustand. Das Frühstück ist sehr gut. Sehr freundliches Personal. Ohne Einschränkung empfehlenswert. De ligging van het hotel, De omgeving is zeer geschikt voor het maken van een wandeling. Klein maar degelijk hotel. Alles hat gepasst. Waren schon mehrmals in dem Hotel. Ist immer wieder sehr nett da. Hotel Restaurant Zum Wacholderhain This rating is a reflection of how the property compares to the industry standard when it comes to price, facilities and services available. It's based on a self-evaluation by the property. Use this rating to help choose your stay! Free WiFi, a garden and a terrace are features of this newly renovated, 3-star Haselünne hotel. It is only 650 feet from the Haselünner Wacholderhain Nature Reserve and Haselünner See Lake. 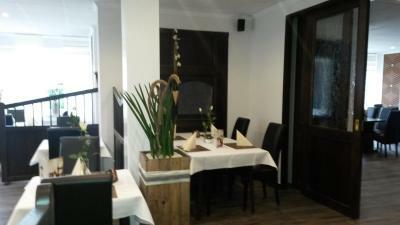 Rooms at the Hotel Restaurant Zum Wacholderhain are furnished in a modern fashion. Each room includes a TV, telephone and private bathroom, some have a balcony. Guests can order a breakfast buffet at the hotel’s restaurant, which serves home-style German meals. A packed lunch service is available for guests who want to take meals on the go. Hotel Restaurant Zum Wacholderhain is ideally located for hiking and cycling, with Hasetal Valley cycling routes within 650 feet of the hotel. Guests can enjoy day trips to Schloss Clemenswerth Castle (15 mi away) and Cloppenburg (28 mi). Free private parking is available at the hotel. Meppen Train Station can be reached in a 20-minute drive, via the E233 motorway. 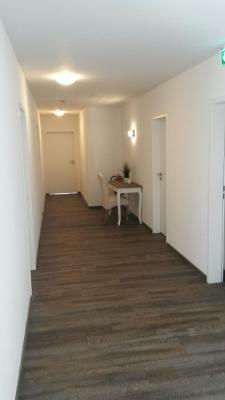 This property is also rated for the best value in Haselünne! Guests are getting more for their money when compared to other properties in this city. 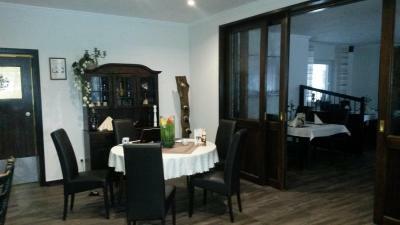 When would you like to stay at Hotel Restaurant Zum Wacholderhain? 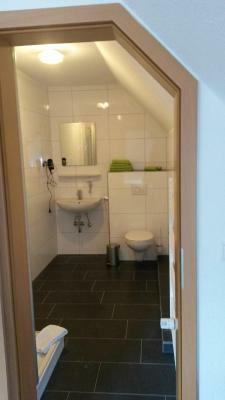 Comfortably furnished room with a TV, telephone and private bathroom with a shower. Also includes a work desk and wardrobe. 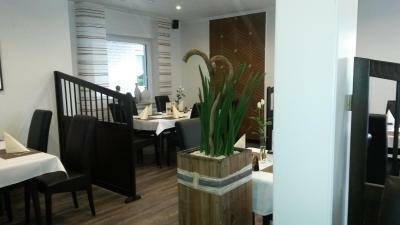 House Rules Hotel Restaurant Zum Wacholderhain takes special requests – add in the next step! Hotel Restaurant Zum Wacholderhain accepts these cards and reserves the right to temporarily hold an amount prior to arrival. We would have liked tea making facilities in the room. There was no-one there when we arrived, and our phone call wasn't answered so we had to wait a little while before we could book in.